Liberia may have witnessed the worst of the West African Ebola outbreak, but the rate of transmission and deaths from the virus in Sierra Leone is rising alarmingly, above recorded figures in Liberia. More than 100 new and unconfirmed cases are being reported on a daily basis in Sierra Leone, which experts are predicting could reach a daily average of 200 by the end of next week. Should the current rate of transmission of the Ebola virus continue across Sierra Leone, it is estimated that an additional minimum of 3,000 treatment beds would be needed to cope with the growing number of new cases every month. 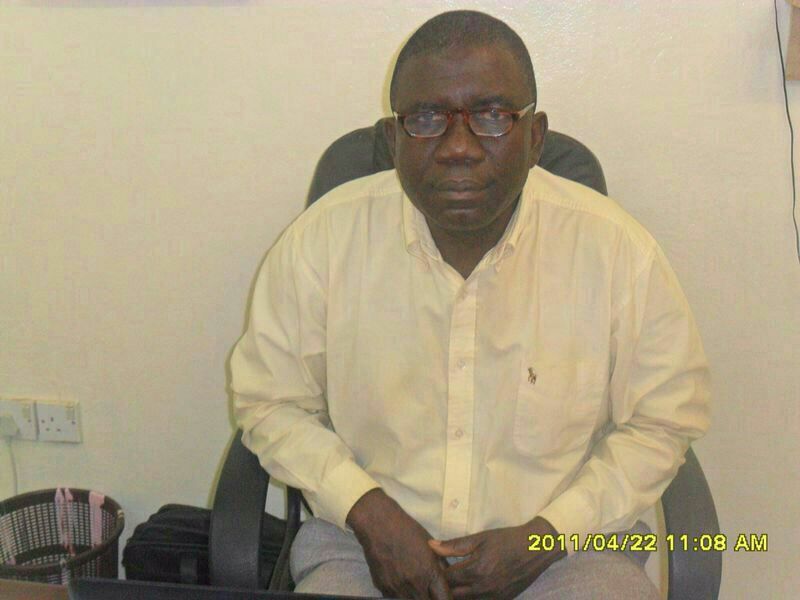 According to doctors in Makeni, “The survival rate in Bombali district is low”, as the number of people dying of the virus in the north of the country multiplies. Health officials say that at least 90 people have died in the district in the last few weeks. This is far more than has been reported by the ministry of health. Today, the British government in partnership with the Sierra Leone authorities, staged a conference in central London, aimed at sensitising governments across the world about the unfolding disaster in Sierra Leone and galvanising support for more funds, material and human resources. The conference is said to have been a success. President Koroma has not travelled out of the country to attend international engagements since the virus started to spread across the country exponentially in May, and was absent at the London conference today. 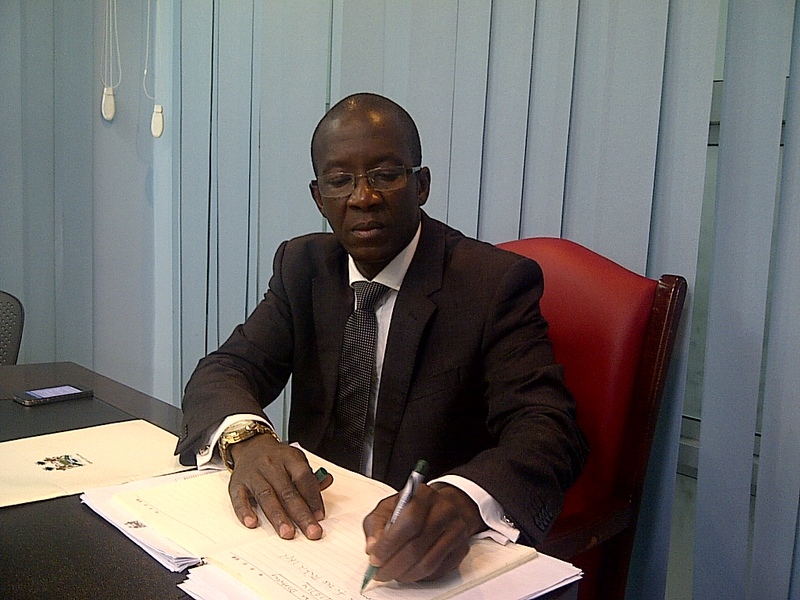 He was instead represented by his minister of health, who contributed to the discussions via Skype from Freetown. But observers are puzzled as to why president Koroma did not participate in the London conference via video conferencing or Skype, rather than delegating such an important responsibility to an inexperienced health minister (Photo). According to the British Independent Newspaper, president Koroma was unable to attend the summit in London to discuss the Ebola crisis, after his chartered plane experienced technical difficulties before taking off. Sierra Leone is now at the centre of the largest ever-known outbreak of Ebola, and the country’s health system is now completely overwhelmed. This is the rainy season in Sierra Leone and there are reports of Ebola patients lying down on hospital grounds, unable to gain access to medical help or beds. A fifth doctor passed away this week – knocked down by Ebola, as the number of dead nurses- including Staff nurse Lucy Sowa, mounts. According to World Bank report, several nations have pledged millions of dollars towards the Sierra Leone Ebola Recovery Fund, most notably: the African Development Bank – $3.2million; China – $1.62 million; Denmark $180,000; Germany – $930,000; Ireland – $2.7 million; Japan – $250,000; Netherlands – $190,000; Nigeria Trust Fund – $500,000; Spain – $200,000; Sweden – $115,000; and the United Kingdom – £16.7 million. But since making those pledges at the UN General Assembly in New York in September, very few countries have honoured their commitment to the Fund. One of the objectives of today’s London conference staged by the British and Sierra Leone governments was to make good on those promises, and there were surprises, especially from the German government. With five senior doctors and scores of nurses now dead in Sierra Leone, the German delegation is believed to have announced that, Germany will now fly out any health worker in Sierra Leone who contracts the virus, for treatment in Germany. 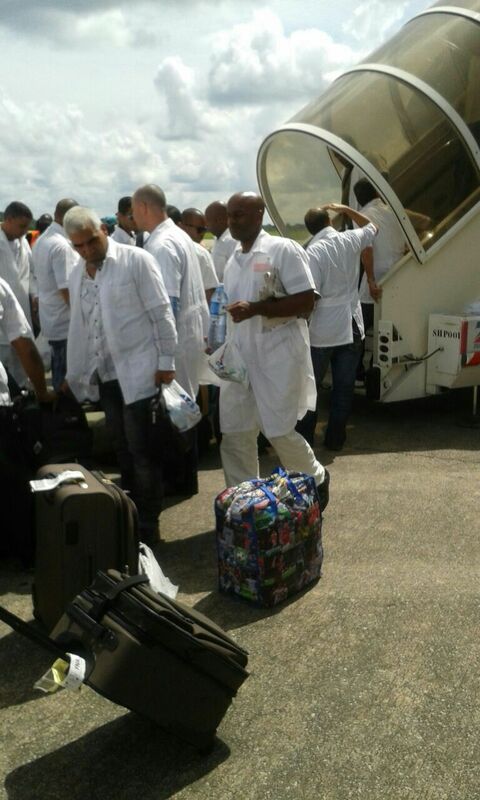 Immediately, after this announcement in London, a chartered plane left Lungi Airport in Sierra Leone carrying Ebola – stricken doctor – Dr Michael Mawanda to Germany for treatment. If the London conference failed in achieving its objectives, this single pledge by the Germans will make an enormous difference to the confidence and morale of the health workers in Sierra Leone, who are at the frontline of the Ebola war – putting their lives and those of their families at risk. (Photo: Late Dr. Modupe Cole). Sadly this offer comes too late for Dr. Khan, Dr. Modupe Cole, Dr. Rogers, Dr. Buck and Dr. Thorley. 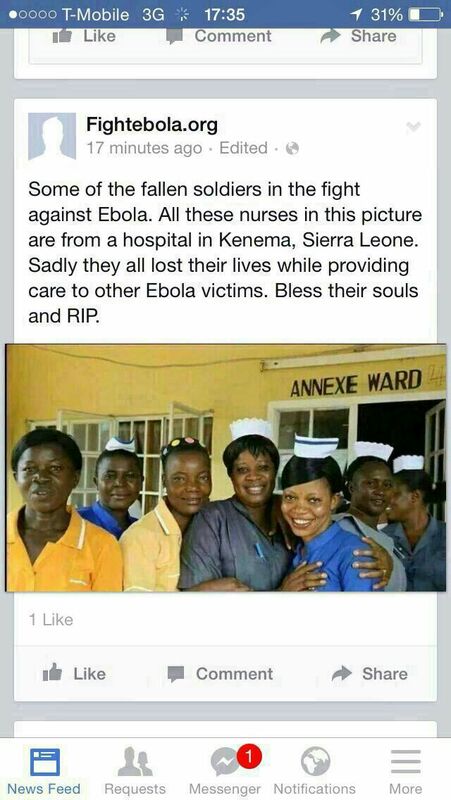 But many in Sierra Leone will say that at last, they have not died in vain as the rest of the world watched. Australia is understood to have pledged an additional $10 million to the $18million believed to have already been spent. This money will be released immediately. The Australians will also provide a C17 aircraft to the British for possible evacuation of health workers. Britain says it has pledged another 70 million pounds to tackle Ebola in the region, with 40 million for Sierra Leone. But the practical and material support being provided by the UK on the ground in Sierra Leone is impressive. The British Foreign Office spokesman said that the UK has already committed £120 million to help tackle the Ebola virus, and a total of 400 NHS health workers are expected to arrive in Sierra Leone. The British are planning to have 700 treatments beds across the country, more than three times the current capacity . 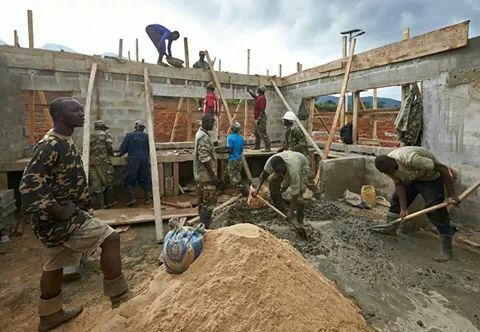 UK Aid says that they are working with local builders, humanitarian advisers, UK military engineers and its partner – Save the Children, to get their first treatment centre up and running, as soon as possible. The Kerrytown treatment centre is situated 40 km to the south of Freetown. When completed it will have 92 urgently needed beds to help look after those with the virus, and help prevent further spread. The UK government is also working with Save the Children to design a long term plan to manage and operate the facility after it has been fully set up. Further military personnel will also be on hand to develop sites for other new facilities in the coming months to deliver on the 700 bed promise. 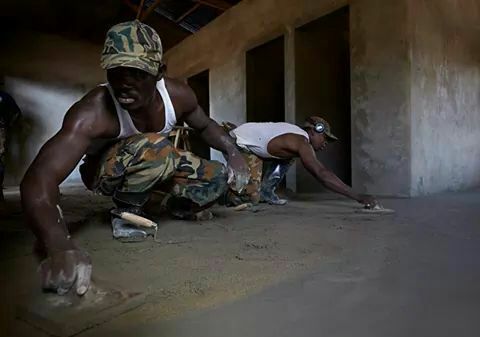 Sierra Leonean forces are also joining the effort, to help in construction of the treatment centre in Kerrytown. The UK’s support for the centre is in response to a call from the government of Sierra Leone and the World Health Organisation to help in containing the outbreak. The site will have two key functions: an 80 bed medical unit to treat local patients hit by the virus and a 12 bed centre for international health workers and local volunteers who are working on the frontline to tackle Ebola. This is the first of at least four Ebola treatment facilities the UK has committed to help construct – in Freetown, Makeni, Port Loko and Bo: urban centres where the demand is expected to be highest. Once finished, this Ebola treatment centre will be the starting point for the UK’s action plan to provide medical care for up to 8,800 patients over the next 6 months across Sierra Leone. If 70% of Ebola cases can be isolated with the help of treatment centres like these, the outbreak can be contained. But more help will be needed. According to the British Foreign Office, ‘The Defeating Ebola Conference’ brought together over 20 governments, the UN, WHO, World Bank, NGOs, health experts and the private sector to pledge greater financial assistance, equipment and health personnel. Will Pooley, the British nurse who contracted Ebola whilst working in Sierra Leone and recovered in the UK, addressed the conference about his experience. Actor Idris Elba also joined a session with Africa Minister James Duddridge and representatives from the Sierra Leonean diaspora community. 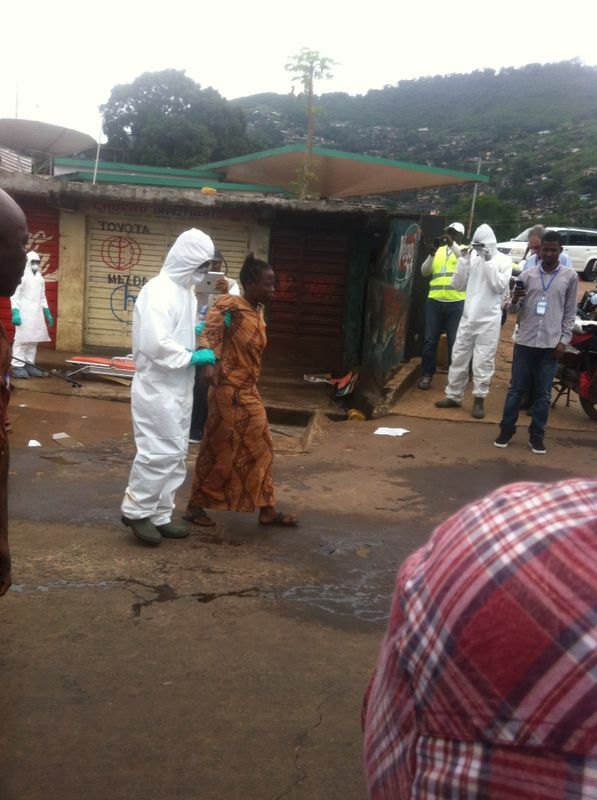 “Ebola is a terrible scourge. Today’s conference discussed the devastating impact Ebola is having on Sierra Leone and the region. We were clear that this disease is a major threat that knows no borders. We agreed to increase our efforts to tackle Ebola and to act fast to save lives. “The UK has so far committed £125 million to this effort. 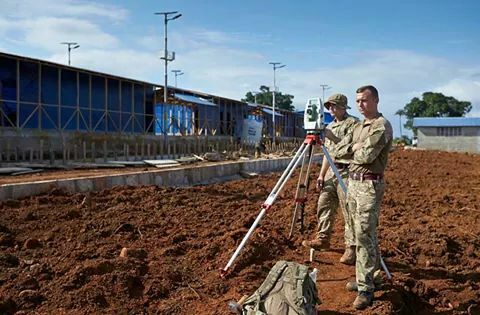 But as well as the financial commitment, I want to emphasise the huge contribution made by British troops and medics who are creating new capacity including health facilities in Sierra Leone. “The UK is leading and coordinating the response, but we need international help and today we have made significant progress in securing it. 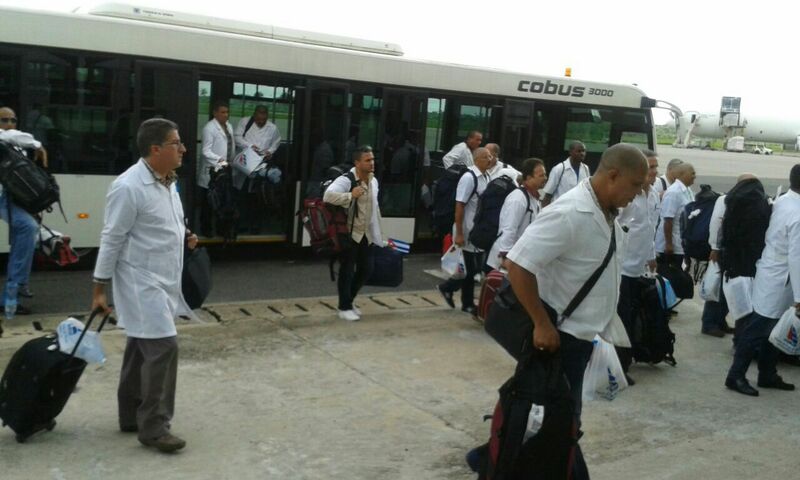 (Photo: Cuban doctors arrived in Freetown today). “We’ve had some concrete pledges here today from a number of countries which range from financial support to airlift capability and health care personnel. I’ve been impressed by the real determination and renewed commitment from across the international community, including NGOs, the private sector and the Sierra Leonean diaspora, to defeat Ebola.